Everything begins in Benauges, and more specifically in the small village of Ladaux. 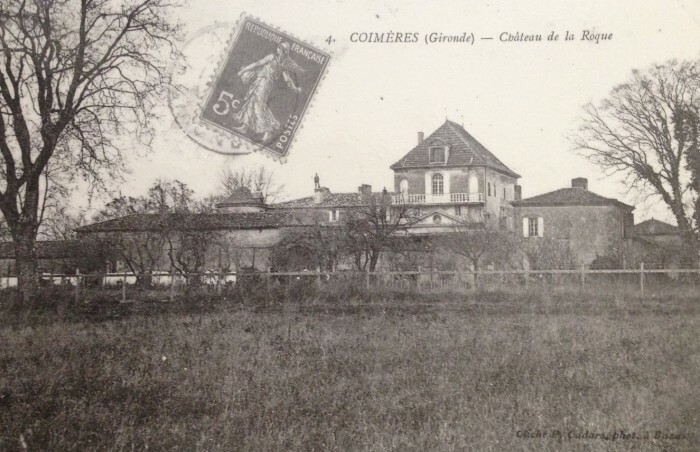 Our ancestors, who have long been living in this part of Entre-Deux-Mers, settle at Château des Combes, situated at ‘Le Hourc’ (a name that means ‘oven’ in Gascon), the place where villagers gathered for freshly-baked bread. Pierre Ducourt takes over the family estate. In this period the farmland is mainly used for growing vegetables and cereal crops, alternating with fruit trees – and most notably cherry trees. Vine growing is not yet a primary activity as it is not considered profitable. The wine that we do make is consumed by family and friends and is used to supplement the salaries of our workers. 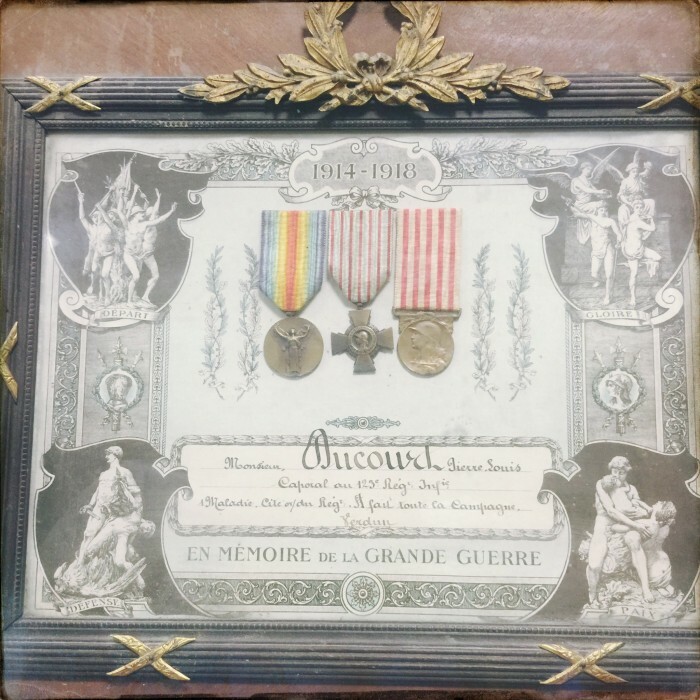 Louis Ducourt succeeds his father at the end of the First World War, in which he served as a stretcher-bearer. The estate comprises 9 hectares of vines and the production of wine gradually becomes our family’s principal activity. Winemaking and storage buildings are constructed next to Château des Combes, in Ladaux. Over the coming years, the vineyard grows to just over 20 hectares, for the most part planted with white varieties. Louis Ducourt hands over the estate to his two children, Jean and Henri. The vineyards are divided between them: Jean, the eldest brother, settles at a newly-acquired property near Sauveterre-de-Guyenne, and Henri takes over Château des Combes from his father, where he spent his childhood. 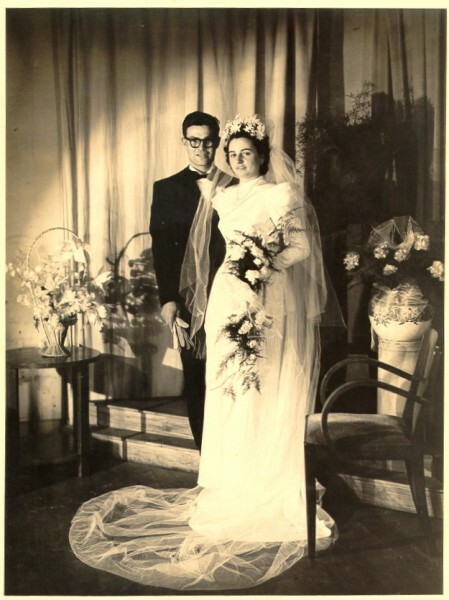 Henri marries Simone Dufour, the daughter of a winemaking family from the neighbouring village, and the couple settle down to run the estate in 1951. 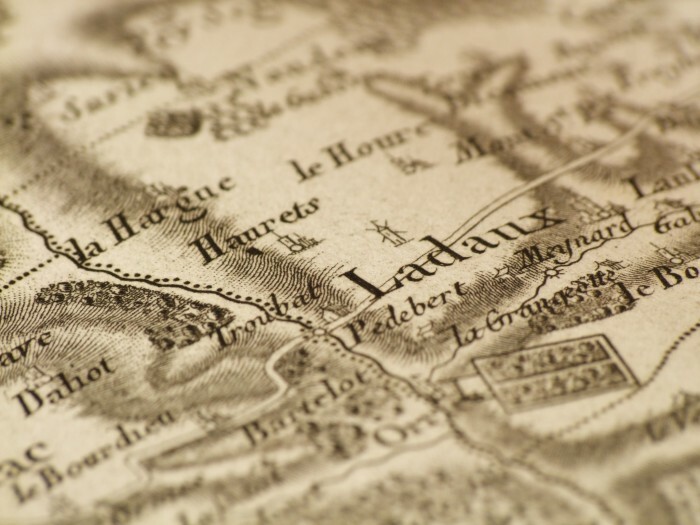 Our grandfather Henri acquires Château La Hargue, situated a few kilometres away. 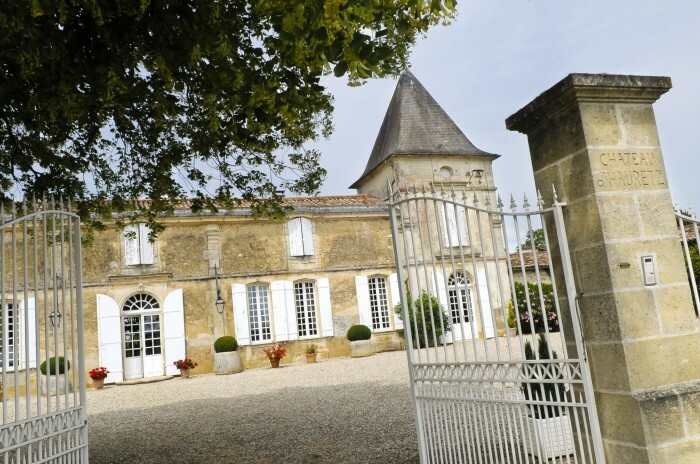 It’s a beautiful stone building in the traditional bordelaise style, surrounded by a vineyard producing only sweet white wine, and highly successful at this time. This is to be the first in a long series of new acquisitions. Simone inherits some of her father’s estates, situated at Romagne and Bellebat. Up to this point, the grapes had been vinified at the local cooperative. From now on, Henri wishes them to be vinified at Ladaux. Over the coming years, we purchase parcels of neighbouring vines which are to belong to two great properties: Château La Rose du Pin and Château La Rose Saint-Germain. 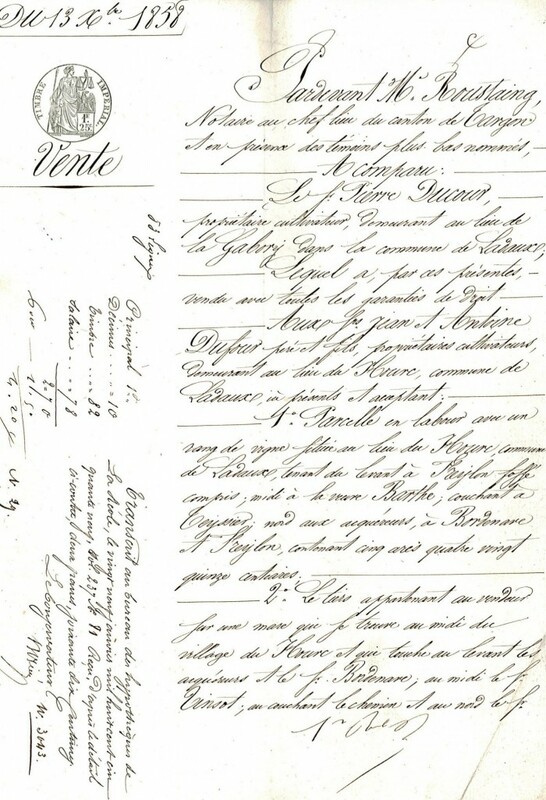 Bernard, the eldest of Simone and Henri’s children, completes his agricultural studies and returns to the property in a winemaking and commercial role. 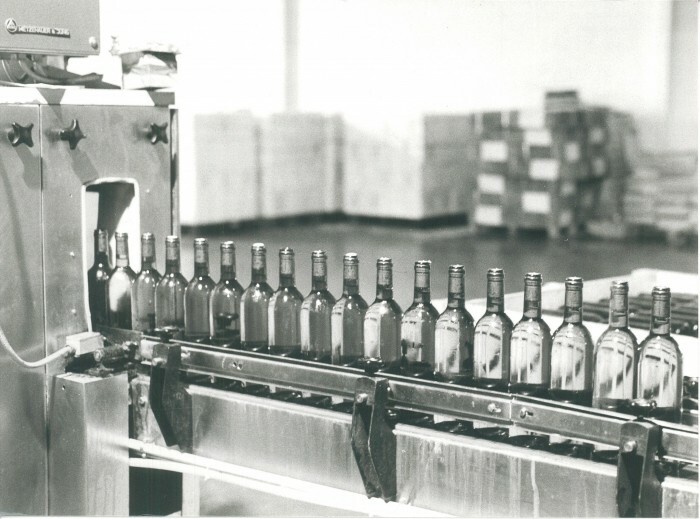 In 1973, he develops an ultra-modern bottling system that makes it possible for us to send bottles from the estate to our first export markets, Belgium and the United States, where our our white wines are a huge hit. Thanks to this success and a series of prudent investments, our family’s properties grow to 150 hectares: Château de Beauregard-Ducourt and Château Vernous (Médoc Cru Bourgeois) join the fold in 1973 and 1976. The commercial business ‘Les Celliers de Bordeaux Benauge’ is therefore set up with the aim of distributing all these wines under a common banner. 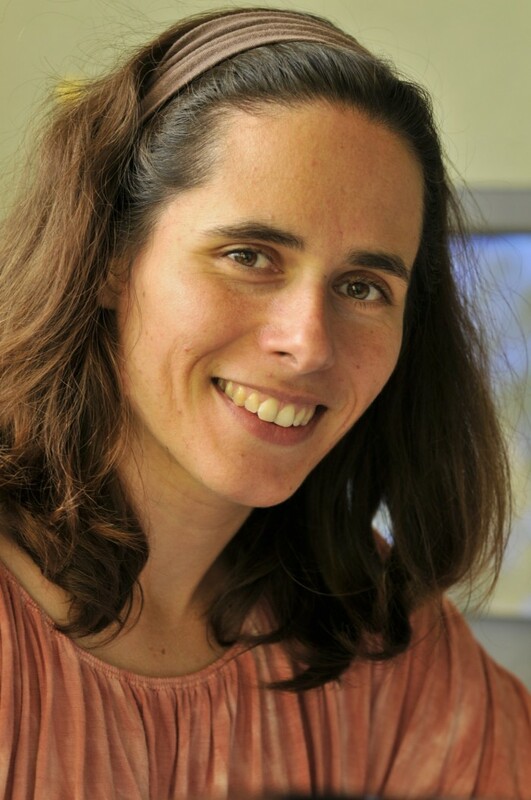 The company continues to take shape around the children of Henri and Simone: Marie Chrisine, married name Boyer de la Giroday, takes care of the administrative and financial side of the business, and two years later Philippe, the youngest child, joins his brother and sister to deal with production and management of the vineyards. In 1979, Marie Christine buys Château Larroque, a magnificent building with 60 hectares of land, situated on very fine Left Bank terroir. The famous Champagne house Moët &Chandon chooses the Ducourt family as its Bordeaux partner to work on a new project for fine sparkling wines named ‘Pierlant Impérial’. For about 10 years, the Champagne house has its winemaking equipment set up beside our facilities, an exciting and enriching adventure as much for the conversations as for developing new techniques of filtration and mastering using cold temperatures for our white wines…). As a reminder of this period, the part of our winery where they were based now carries the name Moët. The same year, Henri and Simone Ducourt buy Château d’Haurets, a place of reunion for family and friends, which lives and breathes good living, just like the wines that are produced there. Château Vernous, which was too far away from the other properties, is sold. 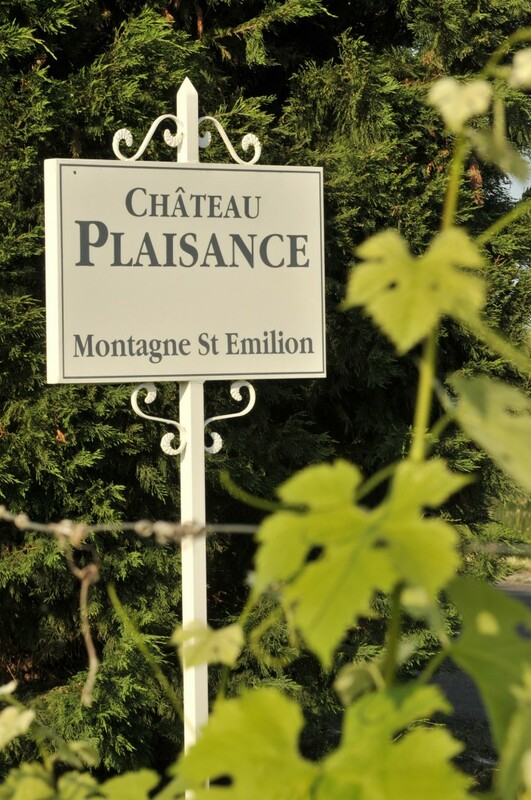 Then comes our first acquisition on the Right Bank: Château Plaisance and its 17.5 hectares of Montagne-St-Emilion classified vineyards. 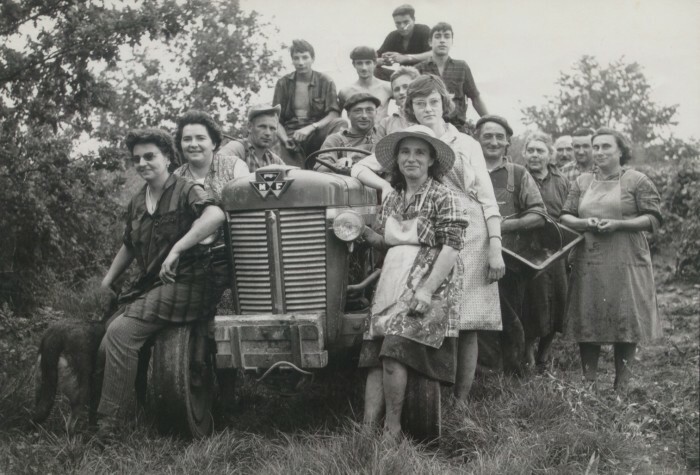 Having left Ladaux, and driven by entrepreneurial spirit, the Ducourt family from now on expands to the other side of the two rivers that enclose Entre-Deux-Mers. A quality-control department is set up, which embodies an approach that had begun several years earlier, with our desire to always stay ahead in terms of the quality of our products and services, the health and safety of our teams and the respectful treatment of the environment. 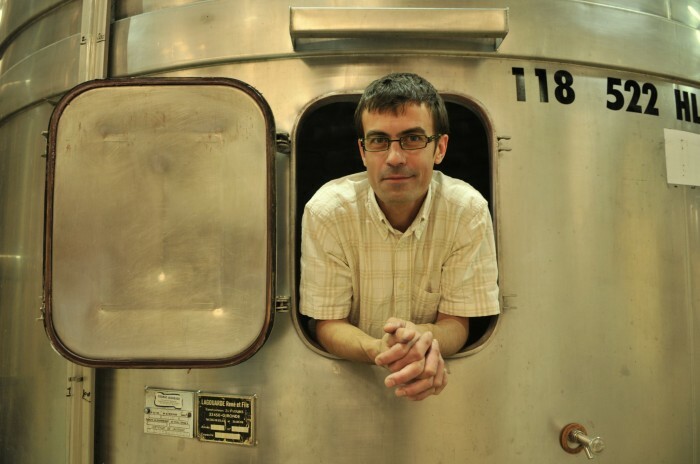 Bertrand Ducourt, the son of Bernard, joins the estate after several viticultural experiences abroad, which have shaped his international vision of wine. His job is to put in place the rigorous quality control practices of the Ducourt family in our most recently acquired properties : Château Jacques Noir in Saint-Émilion and Château des Demoiselles in Castillon Côtes de Bordeaux where we also build a new winery. 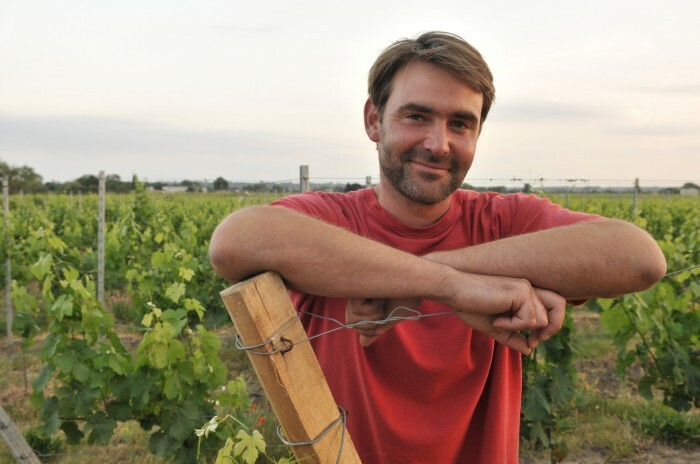 After proving himself at some of Bordeaux’s most prestigious properties, including Château Carbonnieux (Grand Cru Classé, Pessac-Léognan), Domaine de l’Hortus, and at Les Caves du Sieur d’Arques, JérémyDucourt joins the company as an oenologist. He is therefore in charge of winemaking and bottling of all of our wines. Jonathan Ducourt, the brother of Jérémy, joins the company as sales and marketing manager. Having gained significant experience both in Bordeaux and abroad (Italy, Napa Valley, New Zealand), he is client-focussed and up-to-date with the latest consumption trends and marketing techniques. Found on every one of our labels, the crocodile is the emblem of Henri Ducourt’s vigorous business spirit, which lives on today, as strong as ever, in each family member. And what better ambassadors could exist to remind people that Entre-Deux-Mers is where this family adventure began? In 1962, Henri Ducourt, a young winemaker, used to work 14 hour days managing the 20 hectares of vines he had inherited from his father. He had a good friend, his neighbour, who owned 14 hectares and used to work with his two sons. 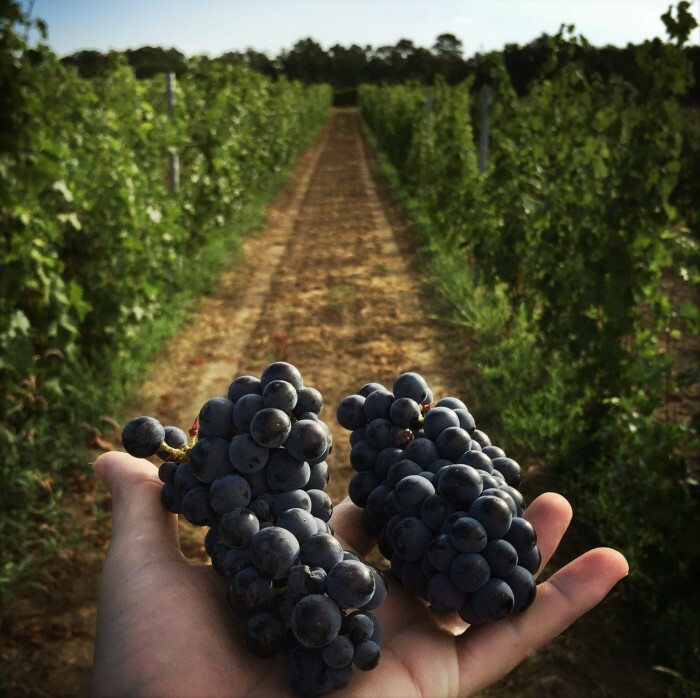 At this time, suffice to say that running a vineyard was not the career that parents wished for their children, preferring instead to steer them towards more stable jobs. Some though, including Henri, were obstinate and unwilling to part from the vineyard. So, hard-working and hard-headed, Henri Ducourt slowly but surely buys the land and the vines of the neighbouring producers and finds himself by the mid-80’s at the head of almost 300 hectares of vineyards! One day, as much to poke fun as through admiration, the son of his friend draws a crocodile on a sign to represent the tenacity, lucidity and cold-blooded business spirit of Henri Ducourt, then plants this sign among the far-reaching vines of his neighbour. 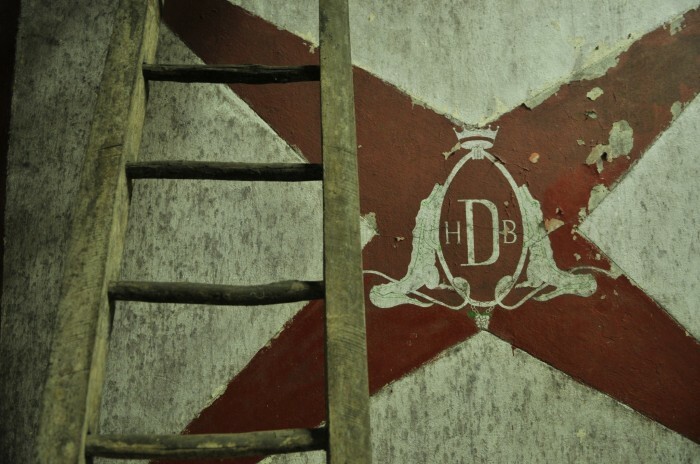 Amused by the gesture, Henri Ducourt is inspired by the crocodile when he rebuilds our winery and asks that we decorate our new vats with this symbol. It’s therefore only natural that we decided a little later to feature them on all of our labels, to represent our passion for creativity and our family’s origins in Entre-Deux-Mers. Today, Henri’s children and grandchildren manage 450 hectares of vineyards, always persistent, ready for new challenges, and faithful to what their parents have built. The crocodile has since become the emblem of the family. 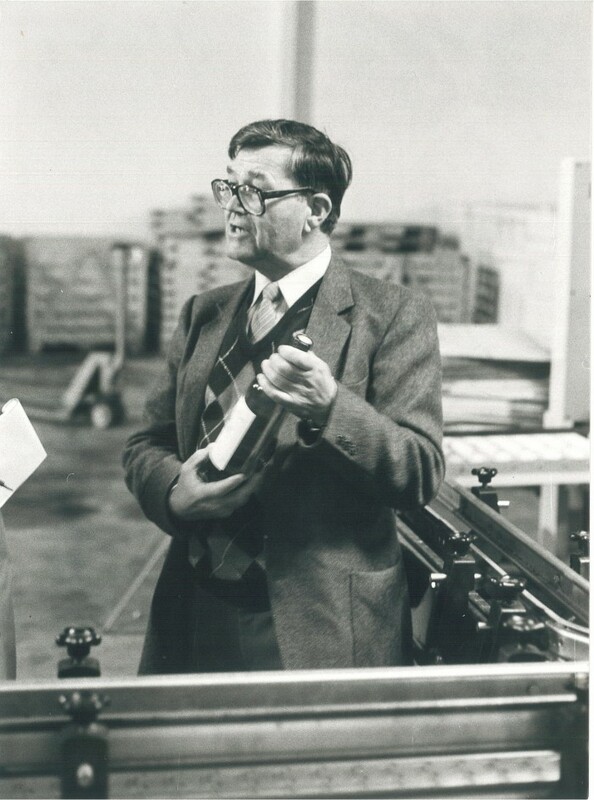 Born in 1928 in Entre-Deux-Mers, Henri Ducourt is the perfect example of a talented, ‘self-made’ entrepreneur. 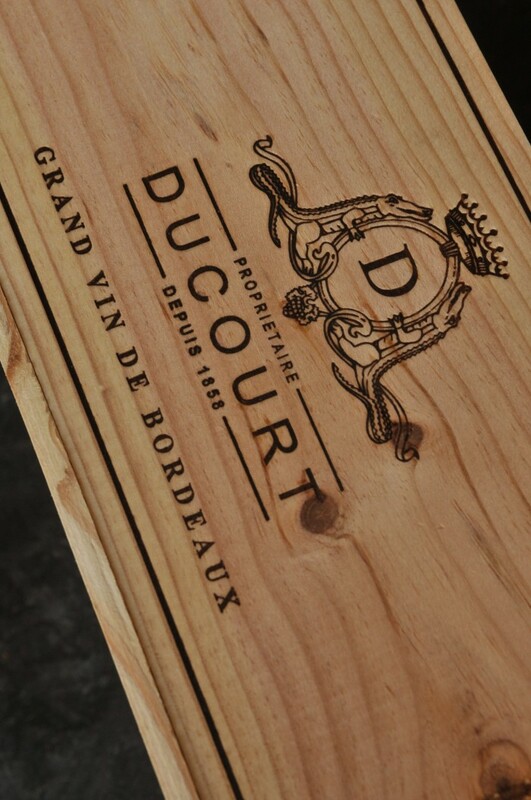 Having left school at 16, after it was bombed during the war, he orchestrated the success of Vignobles Ducourt. His arrival at the estate in 1951 marks the beginning of a new era. An ambitious and courageous winemaker, Henri, with the help of his 3 children (Bernard, Marie Christine and Philippe), will propel forward his viticultural activity to build one of the greatest winemaking institutions that exists in Bordeaux today. 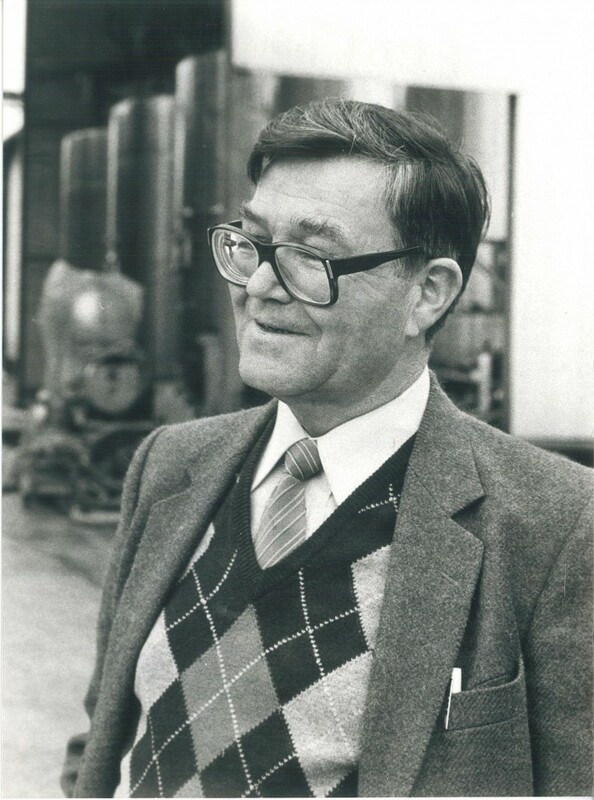 Didier Ters already heralded its success in the Gironde newspaper on the 30th January 1985, with the single line: ‘Henri Ducourt could have remained a winemaker in Ladaux, like his father and grandfather. Instead he chose to go further, much further. He has made a success of himself’. 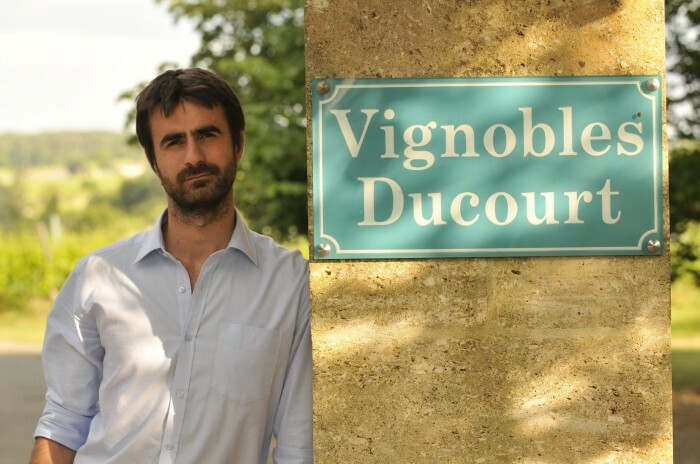 Vignobles Ducourt has of course continued to evolve since then, but it is Henri who first instilled in us his hunger for success and his passion for entrepreneurship. He taught us to get the best out of every plot of land by uniting conventional knowledge with modern techniques. 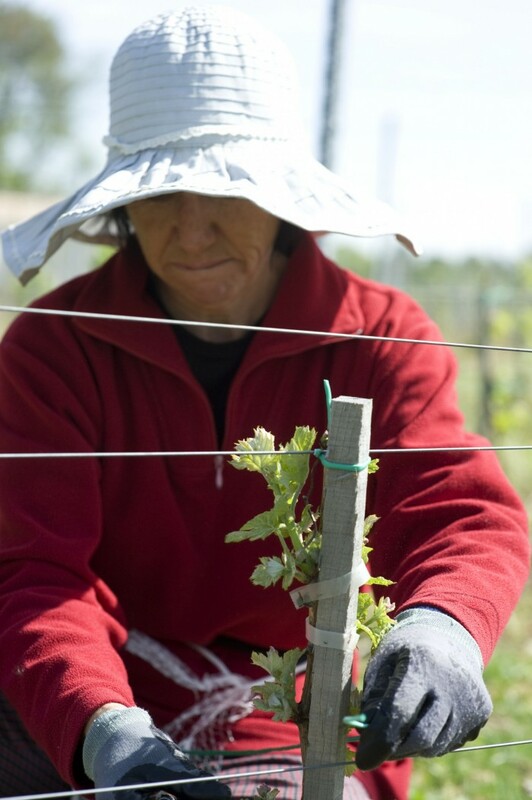 This is a work ethic that we strive to perpetuate in order to produce pleasurable, authentic and affordable wines. 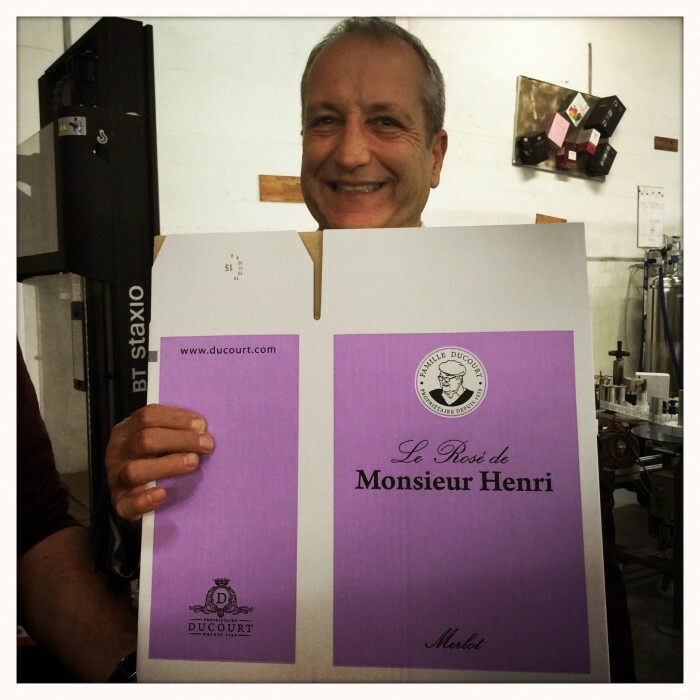 Highly respected in the world of wine, Henri is no less popular amongst his fellow townsfolk. He was made mayor of Ladaux in 1959 and remained in this position for more than 40 years, participating unceasingly in the development of the commune.  He was awarded with a title for exceptional merit in agriculture in 1987, and with a National Order of Merit in 2000. When he retired, he settled at Château d’Haurets, to which he became deeply attached. He patiently restored the ancient chartreuse and planted numerous trees and rose bushes around the chateau, transforming it into a welcoming home where we enjoy gathering as a family. Respect for the environment, care for the health of the men and women who work beside us each day, a need to guarantee superb quality for our clients, and a desire to support the local economy. These are the things that we believe in and care about, and have done for over 20 years. They are why we work hard each day to ensure that Ducourt is, and remains, synonymous with quality, progress, dynamism and innovation. 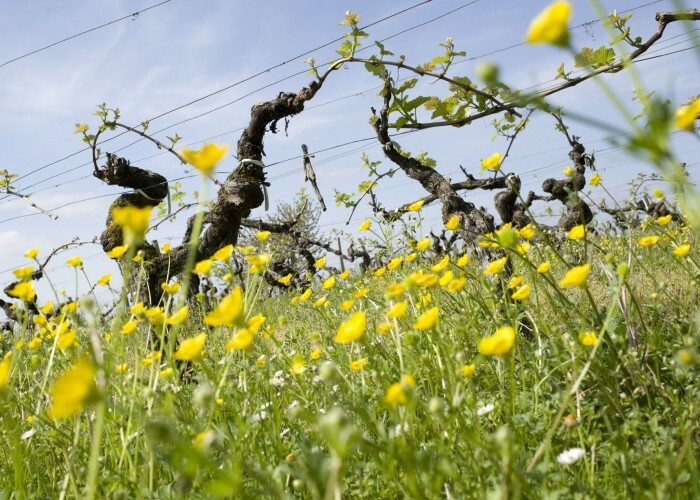 – We set aside fallow land where wild flowers are grown around our vines to increase the number of bees, which are crucial to the ecosystem as natural pollinators. We also leave grass strips in all of our vines: every other row is sewn, the row in between is left to nature. – We have also kept the hedges that surround our plots and allowed grass to grow between the rows and on all the borders, which both increases biodiversity and prevents the pollution of streams and the surrounding area with waste products from vineyard treatment. 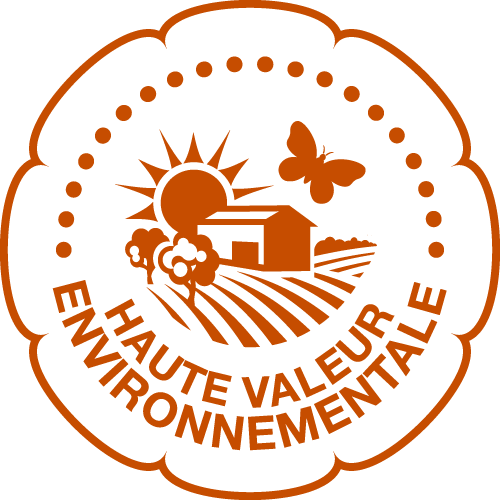 – We are a member of an agricultural association (l’Observatoire agricole de la biodiversité) that surveys and promotes plant and animal biodiversity. – We have dramatically reduced the number of times that we pass through the vines in order to reduce fuel consumption and avoid damaging the soils. For example, we carry out pollarding and the trimming back of trees simultaneously. – Our vast viticultural experience has also allowed us to optimise the use of products that are necessary for keeping the vines in good health, and to employ them sparingly only at crucial moments. Ultimately, our ethos is represented in how we operate on a day-to-day basis: recycling waste systematically and carefully, and treating all water that has been used for the vines and in the winery. And the proof that the water is clean? A group of wild ducks comes back every year to spend the winter on our reservoir. With all the challenges that we face today – whether global warming or growing concerns over the use of chemical products in the vineyards – we have decided to experiment with planting new highly resistant varieties in the heart of Entre-Deux-Mers. A resistant varietal is the result of cross-breeding traditional varieties with more robust ones. The resulting varietal has both the good properties of the traditional varietals and a strong natural resistance to well-known diseases such as Mildew, Odium and Botrytis. This approach is not revolutionary, since the same procedure has taken place for generations, and led to the varietals that are grown worldwide : Merlot, Cabernet Sauvignon, Sauvignon Blanc etc. – In the vineyard : to reduce the amount of phytosanitary treatment by 50% or more for a growing cycle to find out whether these varietals can adapt themselves to the oceanic climate and the growing techniques of Bordeaux. – In the winemaking and commercialisation: to produce quality wines and encourage our clients and distributors to discover them, to prove that it is possible to distribute and sell these new varietals in the long-term. Being part of Sustainable Agriculture involves a significant commitment from the men and women who work each day on our properties. As winemakers, we understand the strenuous work that this entails, and we have taken the necessary measures to ensure the safety and health of our employees. We have made numerous investments to improve working conditions, with various tools allowing us to dramatically reduce the physical burden of much of the work, and a variety of safety equipment has been made available to all of our employees. We also offer our co-workers the opportunity to undertake various internal and external training programmes to improve the way that they work or to retrain in order to adjust their career paths. We also work in partnership with the MSA (Mutualité Sociale Agricole) and carry out frequent tests on our properties to ensure that we constantly improve our winemaking practices. 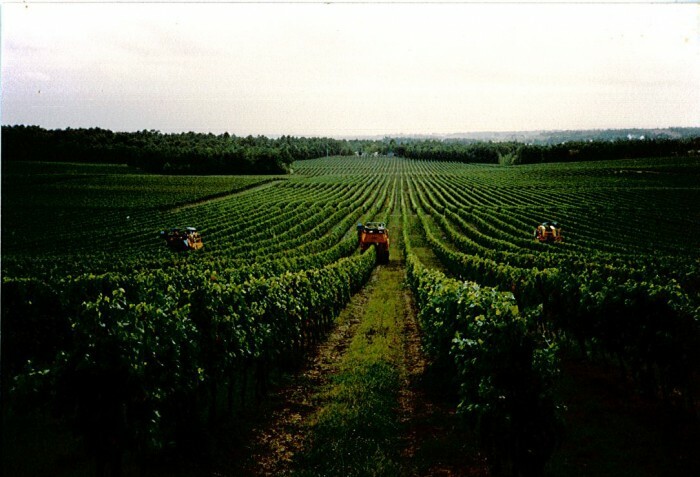 Since 1996, Vignobles Ducourt has been committed to constantly improving quality through innovation and new technology. We have obtained the following certifications for all of our properties and we never rest on our laurels, with our principal aim being total customer satisfaction. 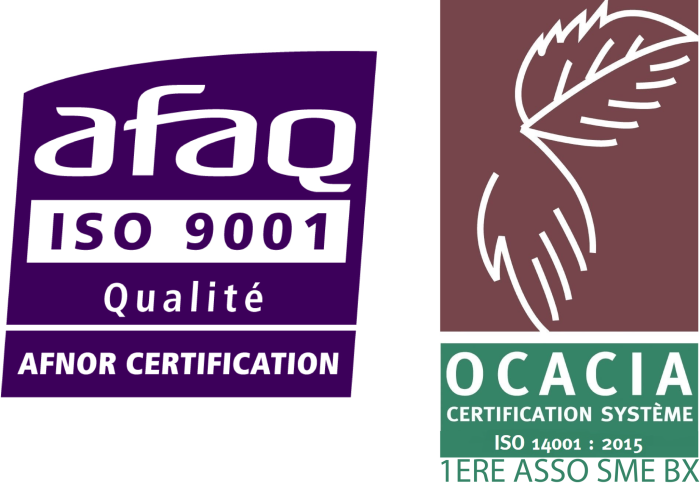 – Environmental Certification ISO 14001, collectively as a company that is a member of the ‘first association for the PME of Bordeaux wine’, supported by the CIVB. This evolutionary management system aims to minimise the impact of our activity on the environment and progressively improve our performance in the following areas: waste, emissions, energy consumption, use of raw materials and natural resources, preservation of local fauna and flora. We also participate whenever we are able to in the promotion of wine on a local level. For example, as a member of Gironde Verte, we regularly welcome groups of schoolchildren, helping them to begin to discover the world of wine!  As part of our commitment to environmental preservation, our packaging can be recycled. Play your part and make sure to re-use our packaging.  Find all the information you need about best recycling habits here.